These banana muffins have become a regular on a school morning when I have old bananas to use up. 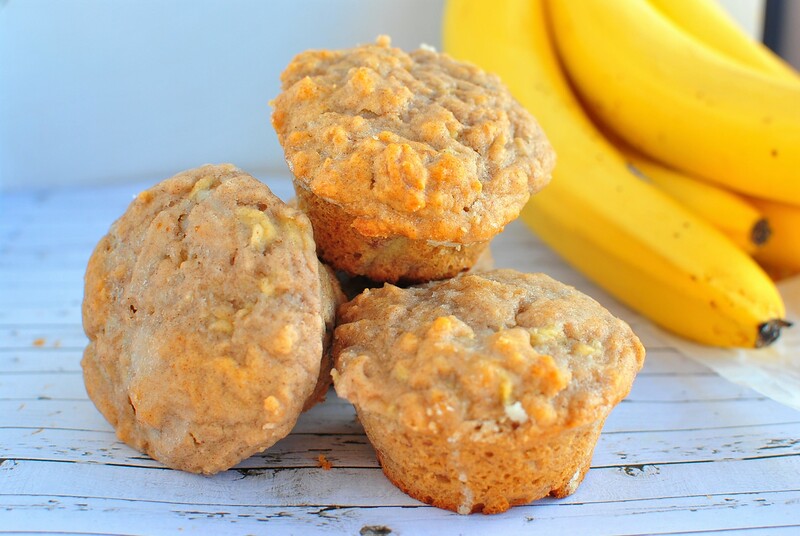 Because they are so quick and easy, I whip them up in the morning when I get up and the children have fresh baked muffins to have in their lunchboxes. The ingredients are simple and few, making this recipe a must for when you need to whip up something quickly. You can drizzle with a glaze if you wish, which is just a mixture of 1/2 tablespoon powdered glucose and 1 tablespoon of water add until desired consistency is reached. Mix the dry ingredients together, Mix well - You do not need to sift. Make a well in the center of the dry ingredients and pour in the wet mixture. Place mixture into the prepared muffin tins all the way to the top and bake immediately. No Replies to "Quick Easy Banana Muffins"